- Richard Cook and Brian Morton, Penguin Guide to Jazz on CD, 6th Ed. “He talked the way he played. He was glib, and his silver-tongued, pleasantly confrontational style always elicited a great audience response. Okay, no shilly-shallying around: Eddie “Lockjaw” Davis’ tenor saxophone playing just knocks me out. 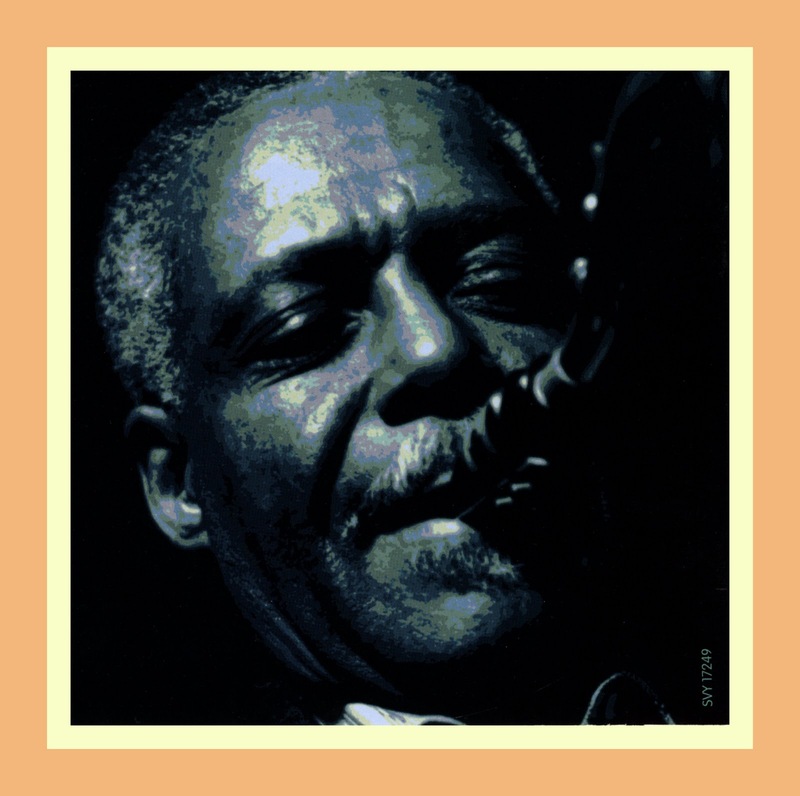 “Jaws” constantly delivered a brand of intensity and excitement on the instrument which aptly earned him the reputation for being one, tough, tenor saxophonist. Whatever the setting – soloist with the Count Basie Orchestra, in Hammond B-3 Organ trios with Shirley Scott or co-leading a quintet with fellow tenor saxophonist Johnny Griffin – Eddie barreled through them all with a temerity and a boldness that would characterize his career. 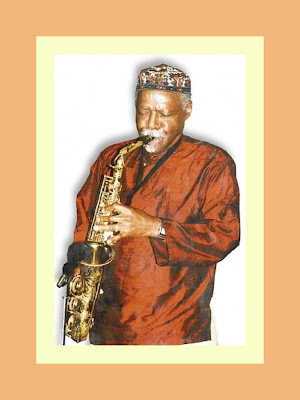 Jaws was a blustery soloist who came to prominence in the world of Jazz at a time when had you had to “make your bones” by engaging in “cutting” sessions with other tenor saxophonists. Such “duels” might include only another tenor sax player, or perhaps two others or even a stage full of them; some were known to go on all night, ending in the wee small hours of the morning. The creative sparks flew when tenor saxophones engaged in such battles, and Eddie “Lockjaws” Davis was often tested, but rarely bested in these competitions. Whether he was playing the blues or a ballad, Jaws spun solos of flat-out exuberance and exhilaration. His sound was always inimitable and accomplished. We found a nice overview of the salient features of Eddie’s career in the insert notes that Michael Cuscuna prepared for Eddie “Lockjaw” David: The Heavy Hitter [32 Jazz 32057]. 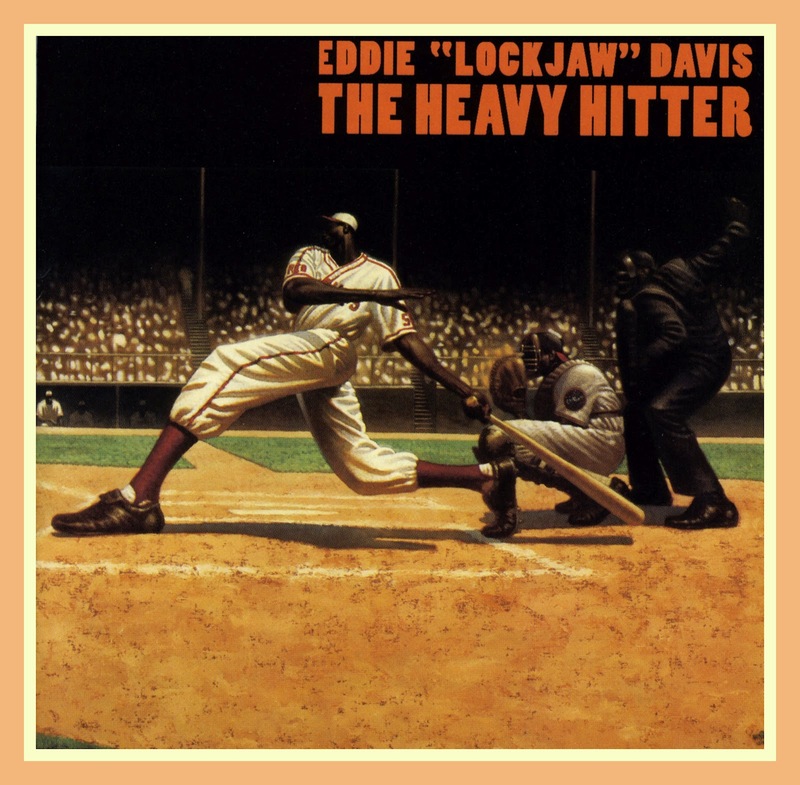 “Eddie Lockjaw Davis, more commonly known these days as Jaws, is a thorough master of his instrument and his art. 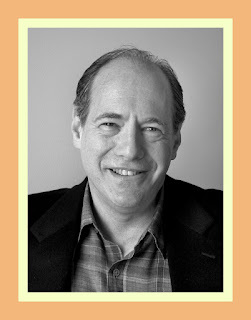 He is a warm, articulate, no-nonsense person who dispatches his business with a flair and a near perfection. At the beginning of the session that produced this album, I made reference to the second night of recording. Jaws looked at me with surprise and said, "Second night! I'm only sup­posed to do one album. We'll do that now." 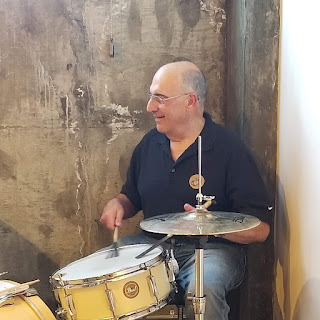 As we had had no rehearsals and he had never played with the pianist or drummer before, I was skeptical, to say the very least. But watching Jaws at work was an education. He was affable and encouraging with his sidemen, yet always in charge. He kept things moving without any trace of hurry or tension. Minutes after the rhythm section arrived, everyone was in his place and ready to go. Jaws would quickly talk out an arrangement, never allow a run through, saying, "Save it for the take. Don't give it away now." And every take was a first take with everyone sounding excel­lent and Jaws sounding nothing short of brilliant. It is a testament to these musicians' abilities and professionalism and a miracle to me that such performances could come out of first takes without one sheet of music or one rehearsal. For the second tune of the night, Jaws turned to the rhythm section and said, "Okay 'Old Folks' and then we'll go into 'Out Of Nowhere.' Do you know the changes to these? I'll take a chorus and a half, the piano for the bridge and the last eight bars of that cho­rus. Then the bass and drums lay out and the piano has four bars to modu­late up to C for 'Out Of Nowhere.' We play 'Old Folks' in F. I'll play this phrase. (He plays it.) Got it? Okay, let's take it." Jaws' tone is big and rich. He is of that generation and school that makes every note meaningful and beautiful in and of itself. He can burn earnestly without working up a sweat, and he can seduce a ballad without resorting to sentimentality. His solos seem to flow casually out of a bottomless reservoir of creativity and feeling. Although Lockjaw is chronologically in the age of be-bop, his primary influences were Ben Webster, Coleman Hawkins and Herschel Evans. 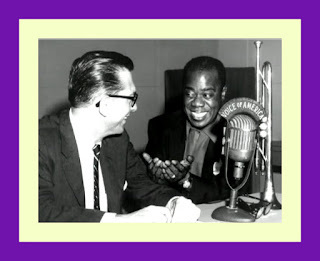 Born in New York in 1921, he made his first mark in 1942 and '43 with Cootie Williams, Lucky Millinder, Andy Kirk, Louis Armstrong and other band leaders. The be-bop revo­lution was not one that passed him by as is evidenced by the lovely Fats Navarro date on Savoy in which he was featured. But his soul and spirit was and is firmly entrenched in the style and sound of the swing mas­ters. During the post war era, he recorded prolifically on a variety of labels. His first session as a leader was for Haven Records. The originals on the date were ar­bitrarily given the names of diseases. One tune, "Lock­jaw," was a hit. It established Davis and gave him a nickname that remains to this day a part of his moni­ker. In 1952, Lockjaw joined the Count Basie organiza­tion for the first time and quickly became an attrac­tion as the band's cooking blues soloist. The excite­ment that he generated matched Illinois Jacquet's his­trionics with Lionel Hampton in the forties, but Eddie was a thoughtful soloist who never relied solely on grandstanding. 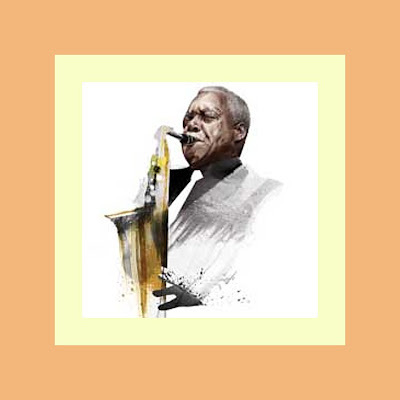 Lockjaw would slide in and out of Basie's band as tenor saxophonist and road manager through the years, his longest stint lasting from 1966 to 1973. 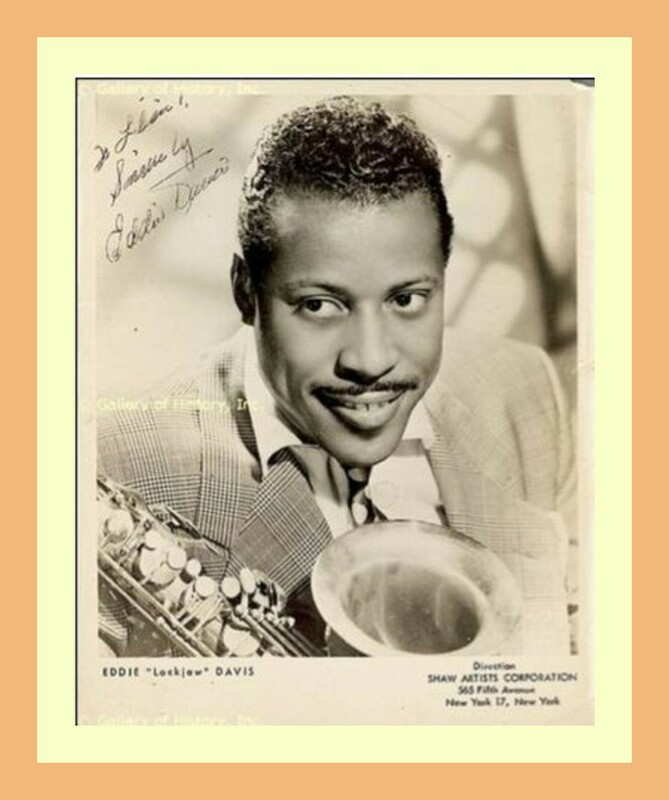 After that first go-round with Basie, Eddie led his own groups around New York, until 1955 when he as­sembled a permanent working band with organist Shirley Scott. That group lasted five years and pio­neered the tenor-organ format in jazz. The group's life span is well documented on a string of soulful, intimate albums on Prestige, many of which included Lockjaw's longtime associate George Duvivier. In 1960, Eddie joined forces with Johnny Griffin, tenor master with a more modern, bop-oriented bent. For the next two years, they battled it out on many recordings and bandstands in the great tradition of Stitt and Ammons or Dexter and Wardell. 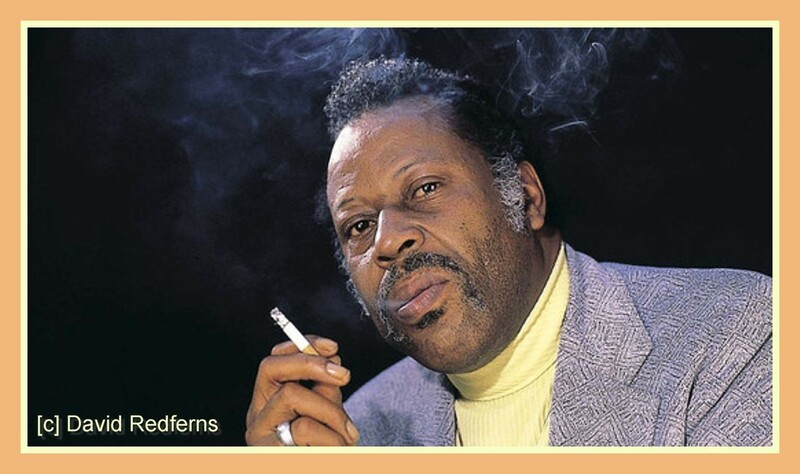 When declining public and eco­nomics took their toll on jazz, Griff moved to Europe, jaws was soon to make the startling announcement that he was giving up the saxophone and taking a position as a booking agent with Shaw Artists, one of the heaviest jazz agencies of the period. Thank­fully, although successful in that ca­pacity, Jaws ultimately found the horn too irresistible and returned to play­ing. 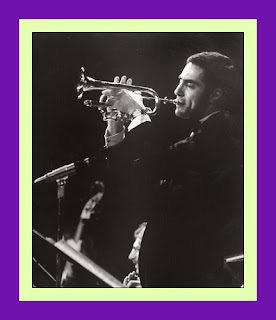 His "comeback" was in full force by 1966 when he joined the Basie band in both business and musical capaci­ties. In 1973, Eddie left Basie again, played with Ella Fitzgerald for a time and then stepped out as a leader and a featured soloist in a variety of settings and circumstances around the planet. In this video tribute to Eddie which was developed with the assistance of the crackerjack graphics team at CerraJazz LTD, Jaws performs Body and Soul with Shirley Scott, Hammond B-3 organ, George Duvivier, bass and Arthur Edgehill, drums. The title of this tune as played by the Tough Tenors - Johnny Griffin and Eddie "Lockjaw" Davis - is Abundance! Joining Johnny and Eddie are Norman Simmons on piano, Victor Sproles on bass and Ben Riley on drums. This track is from their Battle Stations recording. 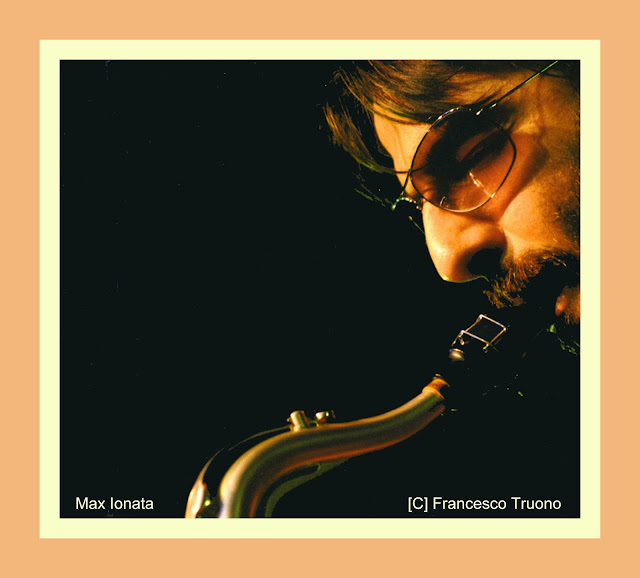 Max Ionata is not a familiar name in Jazz circles. He should be. Max’s Jazz tenor saxophone playing is accomplished and refreshingly unique. To be fair, he’s very well-known in his native Italy and thanks to Matteo Pagano, the owner and proprietor of Via Veneto Jazz, his two recent CDs for that label offer more of Max’s marvelous music which should garner him even more appreciation, both at home and abroad. You can locate more information about Via Veneto Jazz by going here. And while currency exchange rates and foreign postal services may be expensive and time-consuming, the good news is that the Via Veneto Jazz CDs Dieci and Kind of Trio along with other of Max’s recordings are available as Mp3 downloads. For many years, the two signature instruments associated with Jazz were the trumpet - Pops, Bix, Diz and Miles – and the tenor saxophone – Hawk, Pres, Sonny and Coltrane. Trumpet and tenor saxophone are the two front-line instruments in most Jazz combos and their sounds blend particularly well when played in unison. The human ear seems to have an affinity for the tenor saxophone which may, in part, be due to the fact that its sounds are very close to that of the human voice. It has been said that the tenor sax has an almost vocal quality. Given the imposing stature of the Jazz greats who have played the instrument over the almost hundred years of the music’s existence, a great deal is expected of those who pick up “the big horn” and follow in this tradition. 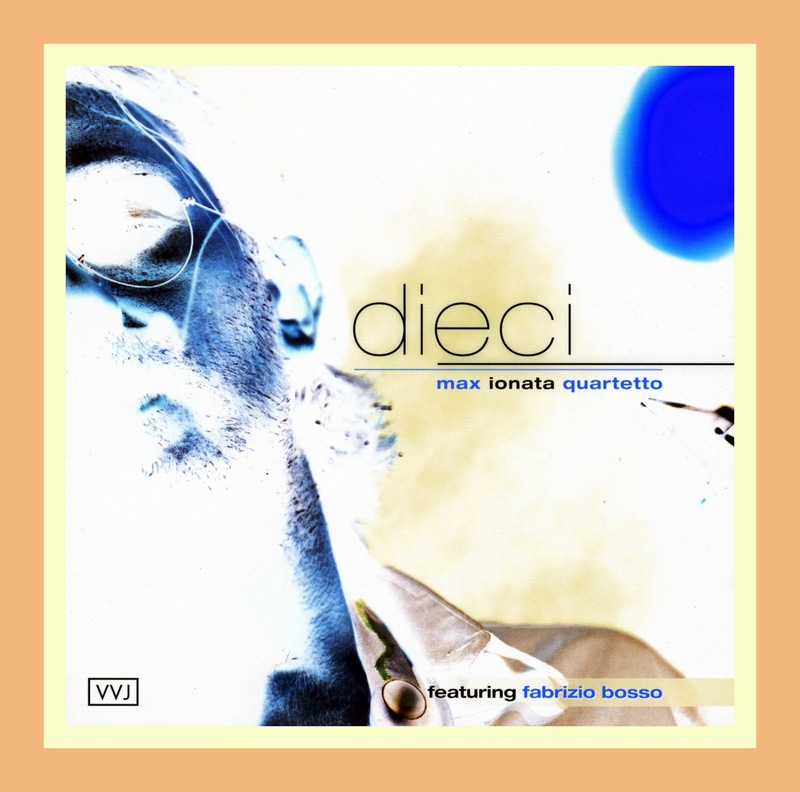 Whether he is featured in quintets that he co-leads with trumpeters Fabrizio Bosso and Flavio Boltro, or evoking the dueling tenor tradition of the great Dexter Gordon & Wardell Gray, or Al Cohn & Zoot Sims or Gene Ammons and Sonny Stitt in combination with Danielle Scannapieco, another of Italy’s rising young tenor sax stars on their Tenor Legacy Albore CD, or as a member of drummer Roberto Gatto’s quintet on the Remembering Shelly CDs recently issued on the Albore label, Max Ionata always plays with presence, power and passion. His sound is robust and yet mellow, his phrasing is long and continuous, and he generates a steady sense of swing. Max doesn’t overreach the range of the horn to litter his solos with squeaks and squawks nor does he take lengthy solos whose most appealing quality to the exhausted listener is that they have finally come to an end. When Max is making Jazz, his solos are so artfully constructed that you don’t want them to end, at least, not too soon. He incorporates just enough harmonic extensions to make his solo melodies interesting, but these never become ends in themselves. Max doesn’t come to impress, he comes to play. What you hear in his music is the fun of making Jazz; the music as an expression of a good time being had by all concerned. Nothing laborious or contorted: nothing elaborately diminished, augmented or raised. Just a beautifully played and very swinging tenor saxophone. When a musician like Max comes along, other musicians can’t wait to have the chance to work with him. He brings out the best in them. In his presence, Jazz is once again accessible and yet still an adventure. The following video features Max performing Astrobard from his new Via Veneto CD Dieci with Fabrizio Bosso on trumpet, Luca Mannutza on piano, Nicola Muresu on bass and Nicola Angelucci on drums. Stefano Di Battista: "Goodbye Mr. P."
Something "easy-on-the-ears" from Stefano. Click the "X" in the upper right hand corner to close out of the ads. Soprano saxophonist Stephano di Battista performing his original composition "Goodbye Mr. P" with Daniele Scannapieco on tenor saxophone, Flavio Boltro, trumpet, Julian O. Mazzariello, piano, Dario Rosciglione, bass and Andre Ceccarelli, drums. Nothing too complicated here. Just a bunch of young musicians having fun with rhythms and riffs. The New Cool Collective is based in Amsterdam, Holland. The baritone solo is by Frans Blanker and the keyboard solo is by Wiliam Friede who also did the arrangement of "Flootie." Friede co-leads the NCC Big Band along with alto saxophonist and flutist, Benjamin Herman, who will be the subject of a future feature on JazzProfiles. The audio track on the following video presents a side of Herbie Hancock's music which you may not have heard before. 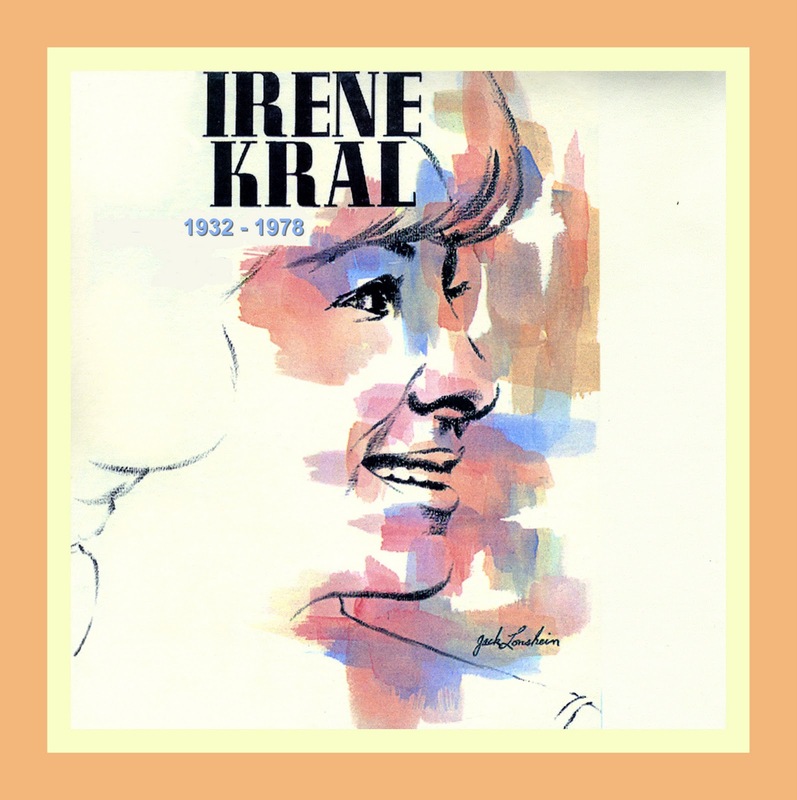 “Irene Kral was not just another jazz singer. “She had a delicate style, yet every note was placed with deliberate aim, and she always hit her mark with unerring accuracy. She had a brilliant flair for picking tasty, little-known material, often by up and coming young, jazz-influenced songwriters. She recorded only a small number of albums, often on small, jazz labels and she never sang in a show-off way, never scatted, never belted or made her voice raunchy . Drummers and “chick singa’s” do not go together like love and marriage and a horse and carriage. 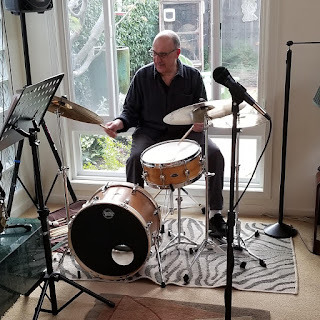 Contrary to what Sammy Cahn and Jimmy van Huesen say in their lyrics, drummers and female Jazz vocalists “… is an institute you [can] disparage” just by asking most drummers about their experiences in working with female Jazz singers. By the way, before this introduction gets labeled as some sort of sexist rant, the same can be said about the antipathy that many drummers have about working with most “boy singers,” too. My statement is only a generalization, but most of the time, drummers work with singers because they have to in order to make a few schimolies and not because they want to as singers usually drive them nuts. It was a total blast to work with Anita O’Day during a two week stint as a member of her trio at “Ye Little Club” in Beverly Hills [John Poole, her regular drummer, had taken ill]. "When I was about seventeen, we were rehearsing our dance band in my basement. Four brass, four saxes, three rhythm." It’s a good thing that she got an early start. Sadly, Irene’s “wonderful life” was over all too soon as she passed away at the relatively young age of forty-six . 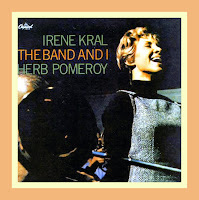 Here’s a retrospective of the salient aspects of Irene’s short-lived career and a well-focused explanation on what made her singing so unique as excerpted and translated from the insert notes to Irene Kral with Herb Pomeroy: The Band and I [Japanese Capitol TOCJ-6076]. © - Capitol Records, copyright protected; all rights reserved. She had a delicate style, yet every note was placed with deliberate aim, and she always hit her mark with unerring accuracy. She had a brilliant flair for picking tasty, little-known material, often by up and coming young, jazz-influenced songwriters. Most aficionados of female vocalists have never heard of her, and she remains largely forgotten in the jazz history books. Yet her work deserves to be searched out, for her intimate style and purity of tone. 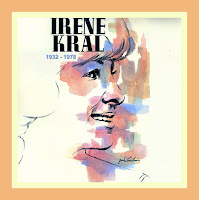 Irene Kral was born to Czechoslovak parents on Jan. 18th, 1932 in Chicago. Her earliest musical influence was her brother, Roy, who at 18 formed his own big band and would rehearse the group in their parent's basement. While watching her brother and his band, she decided that she wanted to sing. She was 8 years old at the time. Her brother, Roy, became well known later as half of 'Jackie and Roy', a highly influential bebop vocal duo, well-respected in jazz circles. By the time she was 16, she was singing and accompanying herself on piano, performing at school and the occasional wedding. Her vocal skills impressed her professional musician brother enough for him to take her by the hand to audition for a swinging Chicago big band, led by Jay Burkhardt. Burkhardt’s band had been the starting point for two other singers, who went on to bigger things, Joe Williams and Jackie Cain (who later married her brother, and was the 'Jackie' of 'Jackie and Roy). A series of jobs with other bands came and went, over the next few years, including a brief stint with Woody Herman. In 1954, she landed a job singing with a jazz vocal group called the Tattle Tales. She played drums, and sang lead with the group, which traveled from coast to coast, and to Canada, Bermuda and Puerto Rico. The group recorded for Columbia Records, but nothing much came of the records. She stayed with the group for a little over a year. Following her heart to stretch out as a solo artist, she left the Tattle Tales and began picking up the occasional weekend solo job, and auditioning for any band that she thought might be going places. When she was 25, in 1957, her friend Carmen McRae recommended her to band-leader Maynard Ferguson. The next time Ferguson came through Chicago, she got up on the stand and sang one tune with the band. After Ferguson heard Krai finish singing Sometimes I’m Happy he hired her on the spot and she started that night with no rehearsal. In Ferguson’s band she met Joe Burnett, a trumpet and flugelhorn player, whom she married in 1958. She stayed with the Ferguson band for nearly two years, recording one album with them, before she was offered her own contract to record solo. In 1959, while in Los Angeles, she became a regular vocalist on The Steve Allen Show. Her exposure on the Allen show led to the recording of her first solo LP for United Artist Records, an entire album of songs written by Steve Allen entitled Stevelreneo. The same year, she cut the LP The Band And I, with the Herb Pomeroy Orchestra, working with legendary saxophonist and arranger Al Cohn. Next, she became the featured vocalist with Shelly Manne and his Men, a popular leader of 'West Coast cool jazz'. She also appeared solo at the Stardust Hotel in Las Vegas. By 1961, Irene and her husband, Joe, had relocated to Tarzana, California, a small suburb of Los Angeles where their daughter, Jodi was born. Their second daughter, Melissa, followed. She limited her yearly out of town performances to a half-dozen choice engagements around the country, in order to spend time with her family. ‘Now when I'm old enough to appreciate them, almost all the really good bands are gone.’ She named a few of her other favorite singers as being Peggy Lee, Sarah Vaughn, Dinah Washington and Helen Merrill. In 1964, she sang on Laurindo Almeida's Grammy© Award-winning album, Guitar From Ipanema. The following year, she recorded an album of her own, called Wonderful Life, on the small Mainstream label. In addition to her usual choice of great songs, unfortunately, the company insisted that she record three tunes aimed at the Top 40 'teen' market. On these songs, she seems like a fish out of water. Nothing came of the attempt to make her more 'commercial,’ and the songs stand as the only blemish on her recorded output of classy material. 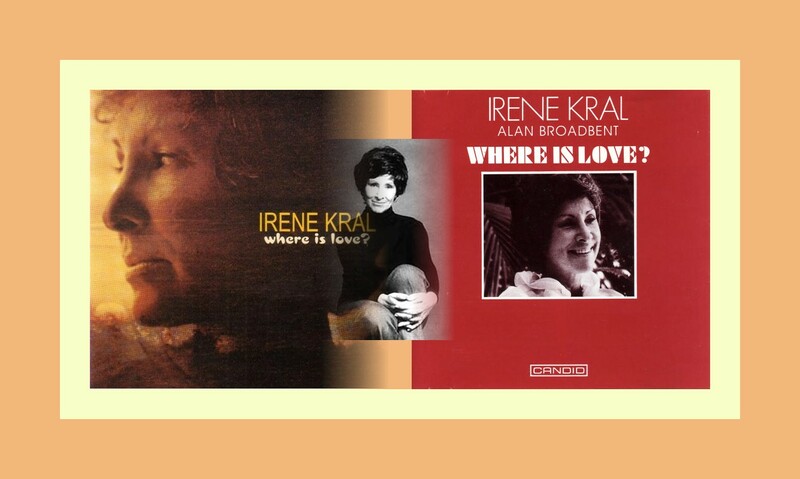 Her album, Kral Space, was released in 1977, and was a welcome return to the swinging trio sound of her earlier efforts. 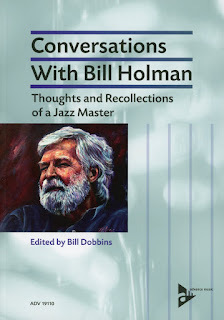 The album brought together the songs of contemporary jazz songwriters like Dave Frishberg and Bob Dorough, as well as Cole Porter and Jerome Kern. Kral Space was nominated for a Grammy© for Best Jazz Vocal performance. “Sometime Ago” which forms the audio track to the following video tribute to Irene and “Nothing Like You Has Ever Been Seen Before” on the audio only SoundCloud are both from her Wonderful Life CD. Shades of Jimmy Giuffre, Jim Hall and Ralph Pena? 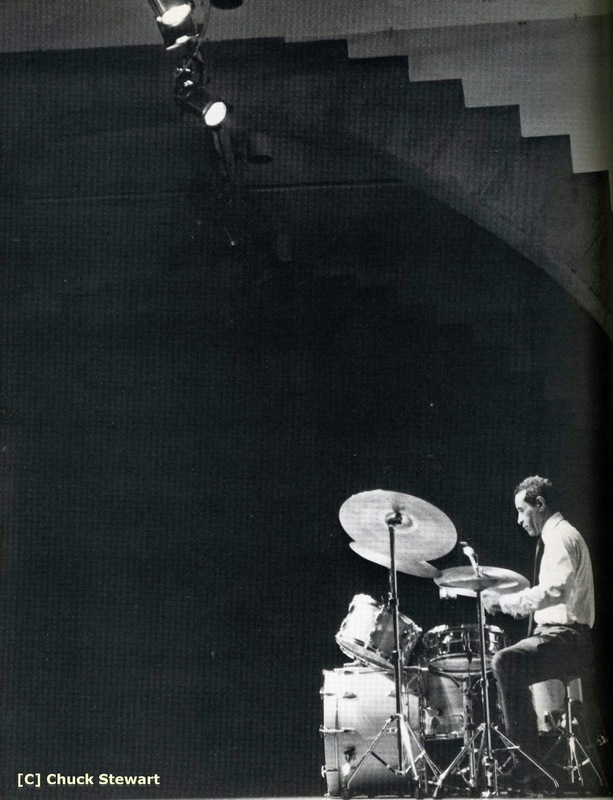 Has there ever been a more exciting big band drummer than Buddy Rich? 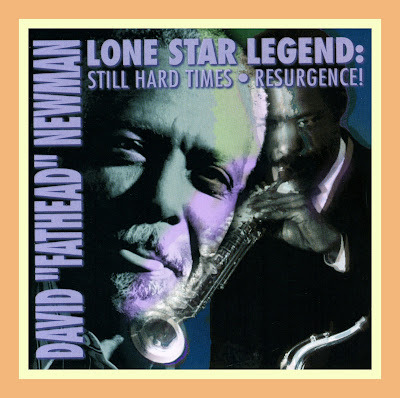 “It's always been a mystery to me why Da­vid "Fathead" Newman isn't one of the most popular instrumentalists of the second half of the twentieth century. He's got the intellectual chops to play be-bop, ballads or blues with a backbeat and with feeling, creativity and authority. He's got more taste than most living musicians; his sparse obbligatos behind Ray Charles on the magnificent live version of "Drown In My Own Tears" should be required listening for anyone licensed to carry a horn. When he plays a note with the unique Texas tenor tone, every cell in my body comes alive. That Texas tenor sound is a phenomenon in itself. David, Don Wilkerson, Booker Ervin, James Clay, King Curtis and Wilton Felder were some of its major exponents to emerge in the fifties. As different as their styles were, they shared a rich, hard, vibrato-less sound and a clear, deliberate articulation. During an interview with him, I once asked Orrin Keepnews, who for many years was the proprietor and co-owner of Riverside Records, why he labeled the album he co-produced with Cannonball Adderley for David “Fathead” Newman and James Clay, The Sound of the Wide Open Spaces [Riverside RLP 1178; OJCCD-257]? In his notes to David’s recording entitled Resurgence, which along with Still Hard Times has been reissued on CD as David “Fathead” Newman: Lone Star Legend [Savoy Jazz SVY 17249], Michael Cuscuna offered these insight on the Texas tenor sound, David Fathead Newman’s relationship to it and the salient features of David’s career up to when these recordings took place for Muse in 1980 and 1982, respectively. © - Michael Cuscuna, copyright protected; all rights reserved. The legend and aura surrounding Texas saxophonists is clearly based in fact. Whether from Houston in the south or Dallas-Fort Worth in Central Texas, that state has spawned an array of impressive artists for generations, all toting a hard veneer and a soul that can em­brace the world. Only listening can reveal the bond that links Herschel Evans, Arnett Cobb, Illinois Jacquet, Booker Ervin, Wilton Felder et al. A geographically genetic genre. An oral tradition and a testament to environment. Consider the dramatic differences between David Newman, James Clay, King Curtis, and Ornette Coleman, all within a couple of years of the same age, all in Dallas-Fort Worth revolving around the band of the legendary saxophonist Red Connor in their teens. Dig beyond their obvious stylistic differences, and you will hear the same voice, the same cry, the same bending of the note, the same powerful, but vulnerable sound. On one end of the spectrum in the forties was Ornette Coleman, the oldest of the bunch. Red Connor would often scold or fire him for memorizing and perfectly executing Charlie Parker solos, an exercise that Connor felt to be uncreative. On the other hand was King Curtis (Ousley), mastering and crystallizing the rich blues and R & B tradition, but snubbed by Connor and the Beboppers of the day. History would vindicate men as their visions focused and their contributions became irrefutable. Fusing both extremes and all the riches that lie in between were men like David Newman, a master who has yet to receive his due. Still in his teens, David built a strong repu­tation around Dallas before going on the road with Lowell Fulsom and T-Bone Walker, a road that rarely led far beyond the borders of Texas. He was playing alto and baritone saxophones at the time. He and Ray Charles had crossed paths on several occasions in the early fifties. 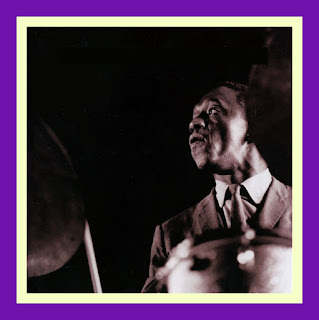 When Charles put together a permanent working band in 1954 with the effective instrumentation of two trumpets, two saxophones and rhythm, he recruited Texas tenorman Don Wilkerson and David Newman, playing primarily baritone, but occasionally doubling on alto. A year later, Wilkerson left. David was offered the tenor saxophone chair. Of course, he accepted the new position and the new instrument. And the rest, as they say, was hysteria. David's solos, obligate fills and ensemble voice were stunning testaments to the art of R & B. His understated, soulful creations matched the essence of Ray Charles perfectly. Charles recorded a couple of instrumental al­bums that featured Newman's talents. The band's repertoire was beginning to include pieces by James Moody, Horace Silver, Max Roach and Milt Jackson. By 1958, Memphis-born Benny Crawford, primarily a pianist and alto saxophonist, se­cured the baritone saxophone chair with the Charles band, bringing into it his own ideas and sound. A few months later, Detroiter Marcus Belgrave would assume one of the trumpet chairs. In July, the Ray Charles band would perform (and record) at the Newport Jazz Festival. In November, at Ray's instigation, Atlantic would record the first album by David Newman with the Charles band of the time mi­nus the second trumpet. And that meant David on alto and tenor, Crawford on baritone (and contributing three tunes), Belgrave on trumpet, Ray Charles himself on piano, Edgar Willis on bass and Milt Turner on drums. In 1959, Charles added Leroy Cooper on baritone sax, freeing Crawford to return to alto saxophone. In the process, he changed his first name to Hank and affirmed his own startling identity. He too began recording for Atlantic, maintaining the essence and style of that orig­inal Ray Charles instrumentation throughout his ten year stint with that record company. On the first three albums (1960-62), he used the band minus Charles intact. And that meant more opportunities to hear David. But for David Newman, any outside activity after his first album seemed to be an oppor­tunity to break away from the Charles mold. In 1960, he recorded a straight-ahead date for Riverside with James Clay and his second Atlantic album. Although Marcus Belgrave con­tributed a tune, the setting was strictly quartet with Wynton Kelly, Paul Chambers and Charlie Persip, a clear statement of hard-core jazz. His third album schizophrenically offered a hard bop quintet with Belgrave on trumpet and a funky, blusier quartet with Crawford at the pi­ano and Ray Charles' bassist and drummer. In 1964, David left Ray Charles' orga­nization, which had been since 1960 a full-fledged and less personal big band. He gigged locally around Dallas and turned his attentions to his family in its crucial years. By 1967, he began commuting to New York. By this time, he was playing soprano sax, as well as alto, tenor and flute. He re-established his ties with Cedar Walton, who was his pianist on local Dallas gigs when they were both still in their teens. He also re-established his relationship with Atlantic Records. In March, he made his first album in five years, using a Texas guitarist who had recently migrated to New York. His name was Ted Dunbar, and that was his first recording session. The tune that drew attention to the album was one that Walton had just given to him, when they were working out on a friend's piano. It was "To The Holy Land[Recorded on the 1967 House of David Atlantic LP 1489]." A month later, New­man and Walton would appear together on a Lee Morgan session for Blue Note, recently released as "Sonic Boom." Throughout the late sixties, David continued to record a succession of albums under his own name and appear on dates led by organist Don Patterson, Lonnie Smith, Shirley Scott and Charles Kynard. After rejoining Ray Charles briefly in 1970, he became a member of Herbie Mann's Family of Mann, a vehicle that allowed his tenor saxophone and flute work to shine and allowed him to contribute to the band's book of compositions as well. It was this band that first recorded "Davey Blue." Although he left Mann in 1974, David continued to record albums of his own for Atlantic (and its sister label Warner Bros.) until 1977. He did studio work for the likes of Aretha Franklin, Cornell Dupree, Nikki Giovani, T-Bone Walker and Ben Sidran and made oc­casional live appearances. But David's em­phasis shifted back to Dallas during the late seventies except for three heavily arranged albums for Prestige that were misguided in the sense that they obscured the identity of the man whose name appeared on the record cover. In the summer of 1980, David arrived in New York and transcended his shyness, call­ing all his old friends in town to announce his presence and his availability. We all responded with delight, and many things grew out of it. Among them is this record date, his first pure effort in years. The cast featured old associates, including Hank Crawford who came to the ses­sion with "Carnegie Blues" freshly written and tucked under his arm. It had been my plan to use the 1967 version of To The Holy Land from The House of David Atlantic LP as the audio track on the following video tribute to David “Fathead” Newman, but WMG had other ideas and muted the audio when the video was uploaded to YouTube. So instead we turned to the 1980 version of the tune Michael references in his notes to the Resurgence LP with David on tenor sax, along with Marcus Belgrave on trumpet, Ted Dunbar on guitar, Cedar Walton on piano, Buster Williams on bass and Louis Hayes on drums. And if you are in the mood for contrasts, with the help of the crackerjack graphics team at CerraJazz LTD, I also developed another video that shows actual images of The Holy Land, in this case, Jerusalem, with a big band version of Cedar’s tune for the sound track as provided by the Jazz Orchestra of the Concertgebouw. Peter Beets does the solo honors on piano.